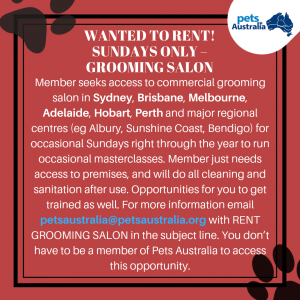 Member seeks access to commercial grooming salon in Sydney, Brisbane, Melbourne, Adelaide, Hobart, Perth and major regional centres (eg Albury, Sunshine Coast, Bendigo) for occasional Sundays right through the year to run occasional masterclasses. Member just needs access to premises, and will do all cleaning and sanitation after use. Opportunities for you to get trained as well. 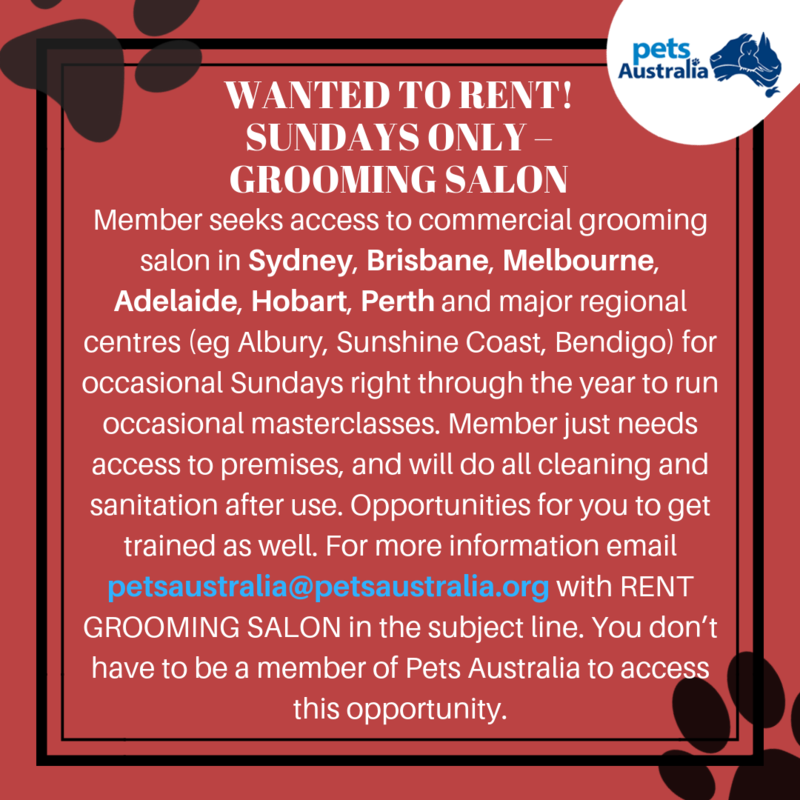 For more information email petsaustralia@petsaustralia.org with RENT GROOMING SALON in the subject line. You don’t have to be a member of Pets Australia to access this opportunity.